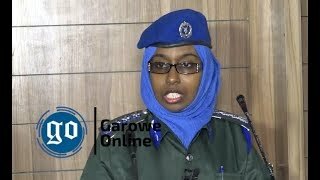 GAROWE, Somalia Sept 22, 2014 (Garowe Online)-Puntland Government in northern Somalia has dismissed accusations made by Galmudug authorities, saying southern airstrip doesn’t comply with international standards of civil aviation on Monday, Garowe Online reports. 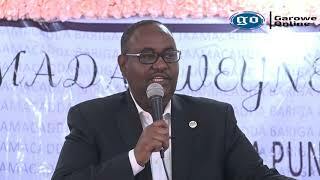 Speaking on Puntland-based independent station, Radio Garowe Puntland’s Minister of Civil Aviation and Airports Hassan Haji Saed said ‘Puntland doesn’t oppose airstrip in Barahley neighborhood’ but it is not satisfied with the distance it spans from the legible airport in Galkayo. He denied the possibility that dispute over Galkayo airport relates to political differences between Puntland and Galmudug:”It is politicized issue and it can’t be tied to political matters”. “You need to think critically when you want to install airport,” said Civil Aviation Minister Saed. 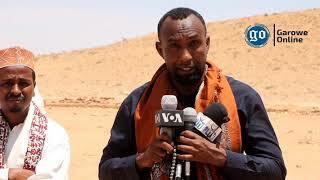 Meanwhile, Galmudug leader Abdi Hassan Awale Qaybdiid blamed Puntland for subjecting residents in the southern part of Galkayo to pressure and other threats during Monday interview with BBC Somali Service. 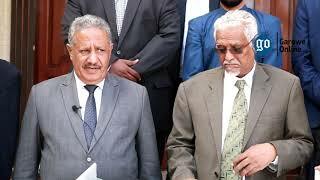 Though Puntland Sunday denied Qaybdiid entry into Galkayo, he revealed that they lodged complaints to Federal Government of Somalia, IGAD, UN, AU and EU. 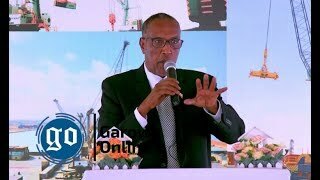 “In order to prevent escalation of new hostilities in Mudug, we request Federal Government of Somalia and International community to resolve the standing differences on national airport in Galkio within three days,” said Qaybdiid, stressing that Puntland leader will unilaterally shoulder the grim consequences if solutions are not proposed. Gakayo airport which is situated in the vast north remains under the control of Puntland. Puntland, located in northern Somalia re-suspended cooperation with Mogadishu following the formation of federal state member in the central part of the country.